The Danada House is beautiful and I fell in love as soon as I went for my walk through. Jill was very accommodating in answering all of my questions throughout my planning process. I did need friends/family to help set things up at the hall but I didn't think that was a big deal. My guests afterward raved about how lovely the place was and I have had a couple friends/family inquire about having their wedding there too. Other nice things about Danada that you may not get at other Venues where rental fees apply are that they had enough tables and chairs so we didn't have to rent any from an outside vendor. The rental fee was less expensive than most in the Chicagoland area and they were open to my decorating ideas. All I can say about Danada House is that it was OUTSTANDING. Jill, the woman who runs the place, does an excellent job. The caterers had full run of the place, the DJ had no trouble with setup or take down, and we felt like KING and QUEEN from the moment we arrived to the moment we left. I loved it, and so did my wife. The private groom and bride rooms upstairs are a wonderful touch, as are all the beautiful rooms inside and wonderful natural areas, gardens, and equestrian themed places outside. We loved it. It's pricey - but this is your ONE DAY to be at the middle of ALL the action. 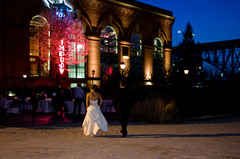 ENJOY it - this is the place for a STUNNING, remember-it-forever wedding reception. A bit spendy, but SO worth it. The house and atrium are gorgeous. 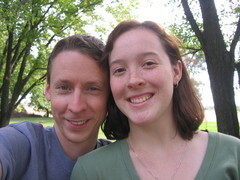 And the pictures we took in the gardens were beautiful.